From The Truro Daily News! TRURO – A popular movie will be brought to life next week in Truro. 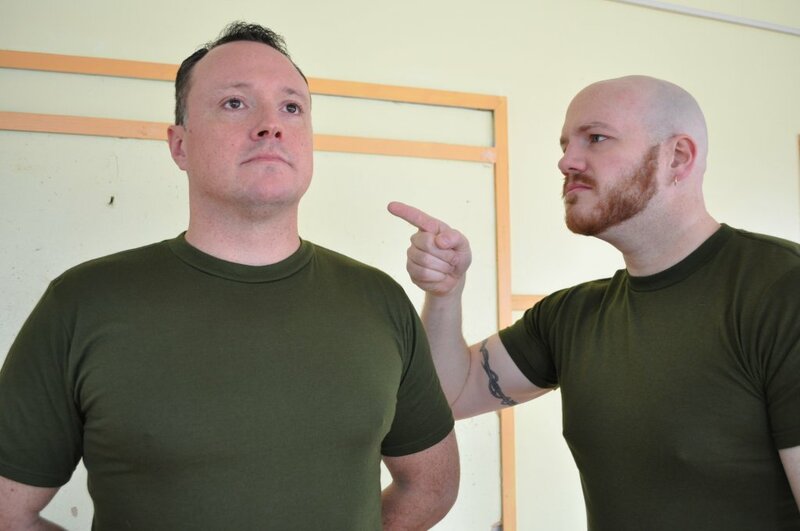 Hubtown Theatre, in its 33rd year, is bringing A Few Good Men to the Marigold Cultural Centre stage from March 26 to 29. Directed by Truro’s Sheila Newell, the play will stay true to the movie that was a huge hit in 1992 on the silver screen. The movie and play is about the trial of two marines for complicity in the death of a fellow marine at Guantanamo Bay. Cover-ups and suspenseful court drama add to the intensity of the piece. “I chose it because I wanted to do something other than comedy. I deliberately wanted to do a movie … and to do a military-based piece with the costumes would add to the whole show because normally we do comedy with everyday street clothes,” said Newell. Andre Myette, who’s been with Hubtown for almost 10 years, agreed deviating from comedy this time is a good idea. “The community gravitates toward more comedies in Hubtown and we normally do three shows a year, most of them comedy. But it’s nice for the group to spread our wings and try something different,” said Myette, a resident of North River, who portrays Lieutenant Kendrick in the play. Also in the play, which boasts of a cast of 18 people, is Truro’s Craig Richard, who takes on the character of Daniel Kaffee.